Trump is a name synonymous with the upscale lifestyle, superior quality and success of Donald Trump and the Trump empire. Now, you can enjoy Trump luxury at home with the Trump Home Mattress Collection. 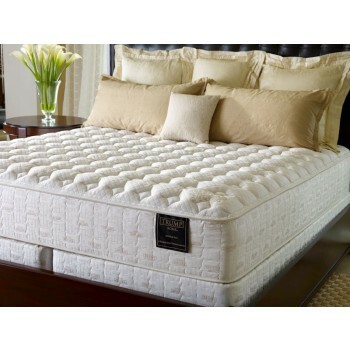 The Trump Home signature luxury mattress collection by Serta proves you can live richly without spending a fortune. Trump mattresses combine quality craftsmanship, detail and high-end fabrics across an array of style and comfort choices. Enjoy the most advanced mattress comfort and support features available today with any one of the Trump Beds. Bamboo and Silk Mattress Cover: This ultra-smooth fabric is made from renewable bamboo and silk fibers. The natural components of the mattress cover allow it to "breathe", so air easily flows through to keep the mattress surface cooler and more comfortable. Trump Home Collection Mattresses' bamboo and silk covers are extraordinarily soft and luxurious to the touch - and environmentally friendly.